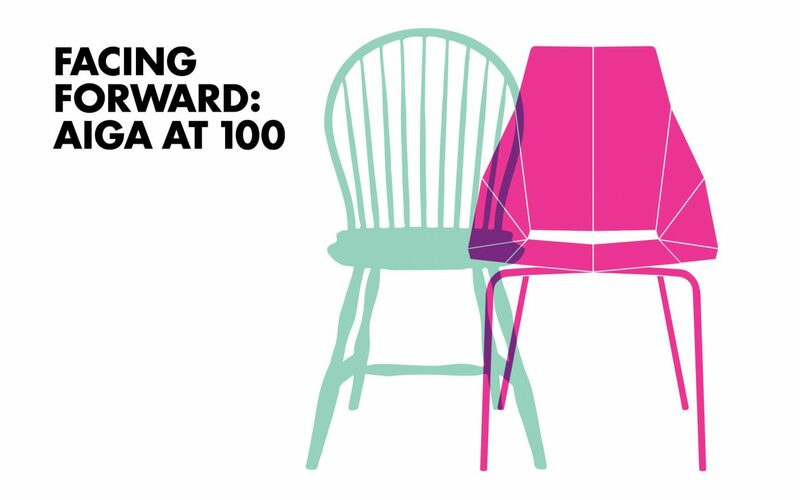 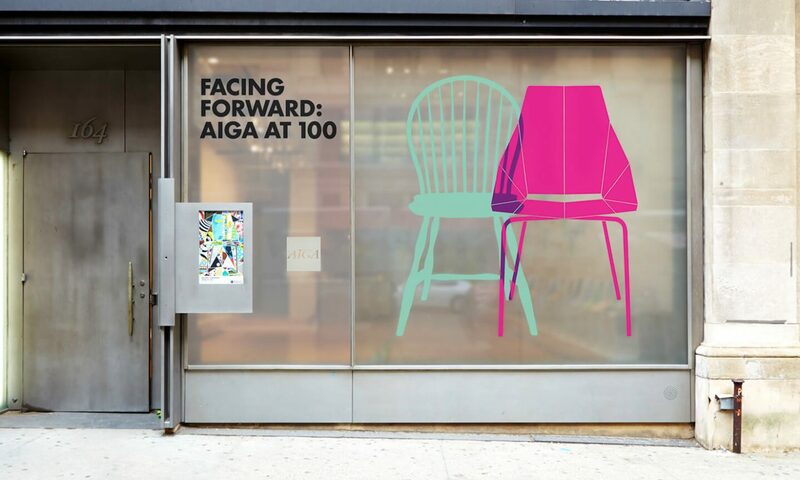 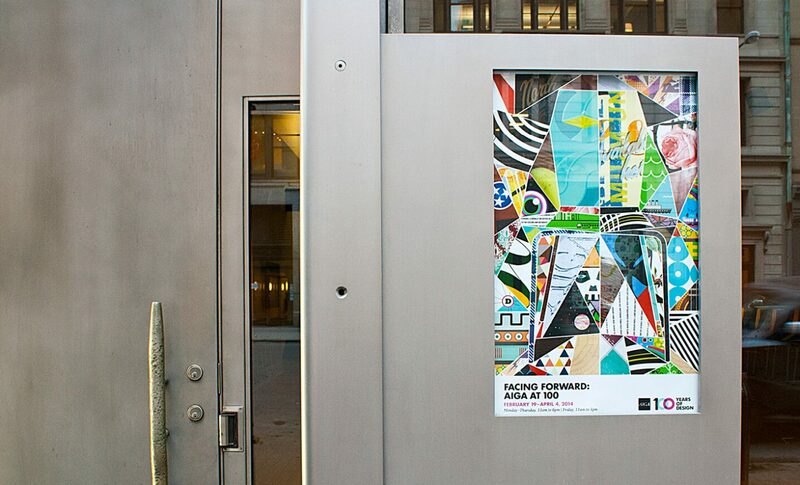 The American Institute of Graphic Arts (AIGA) turned 100 in 2014. 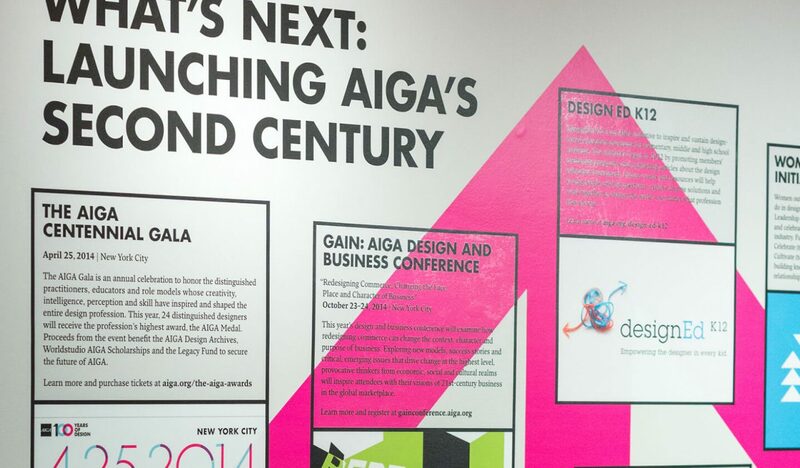 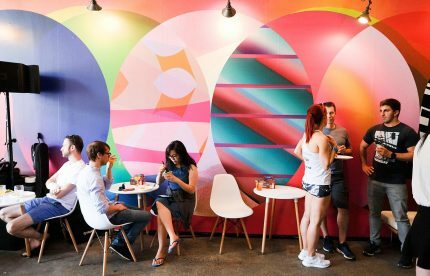 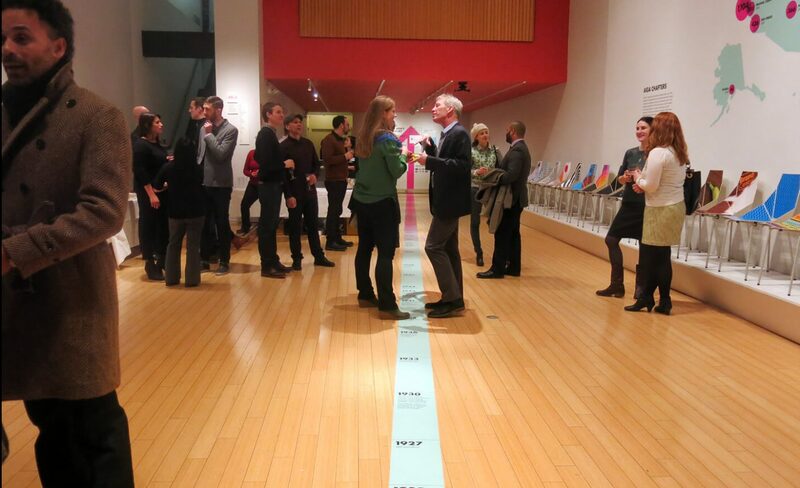 We were invited to design a centennial kick-off exhibition to celebrate AIGA’s vibrant network of 67 chapters and 25,000 members. 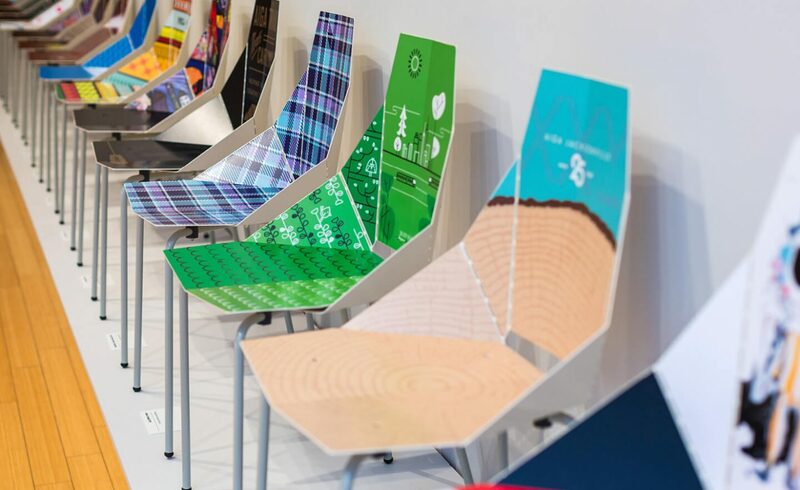 The main feature of the exhibition was a series of chairs with custom graphics designed by national chapters and international affiliates. 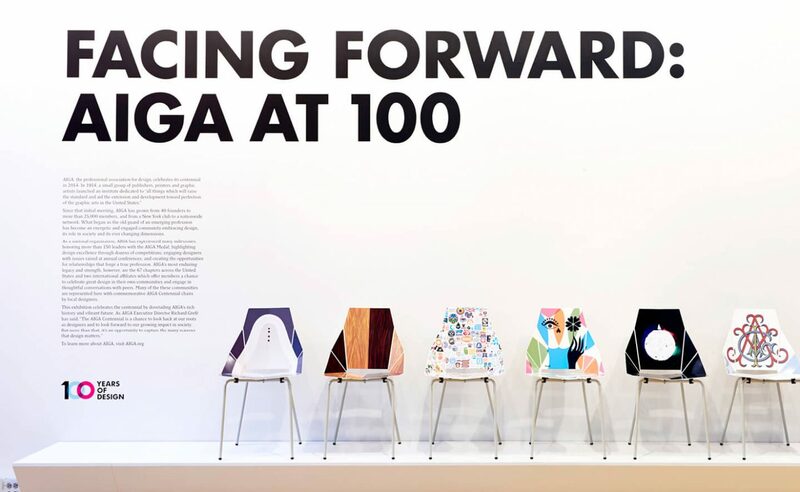 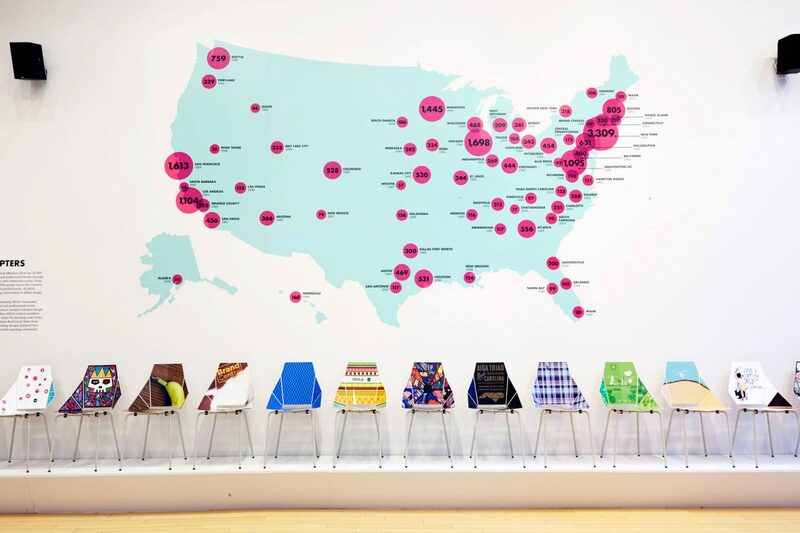 We were tasked with naming the exhibition and designing a cohesive experience that combined the chairs with additional information about AIGA’s scope, history, and future endeavors. 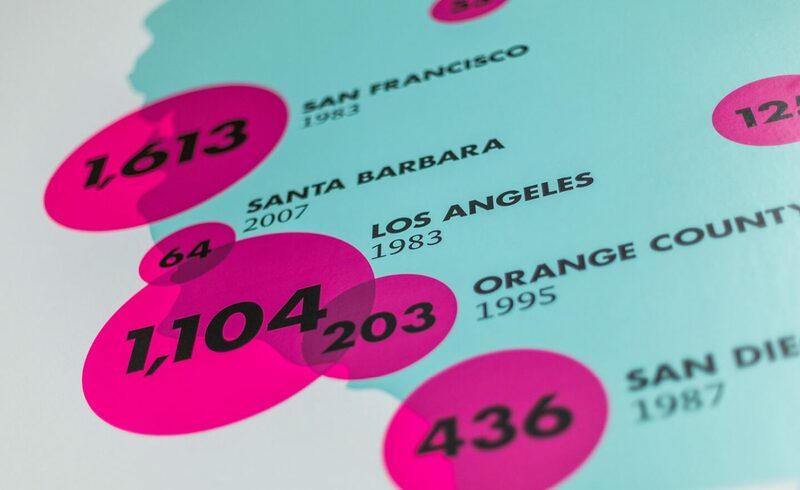 Among the various infographics we developed was a historical timeline that cut across the entire space. 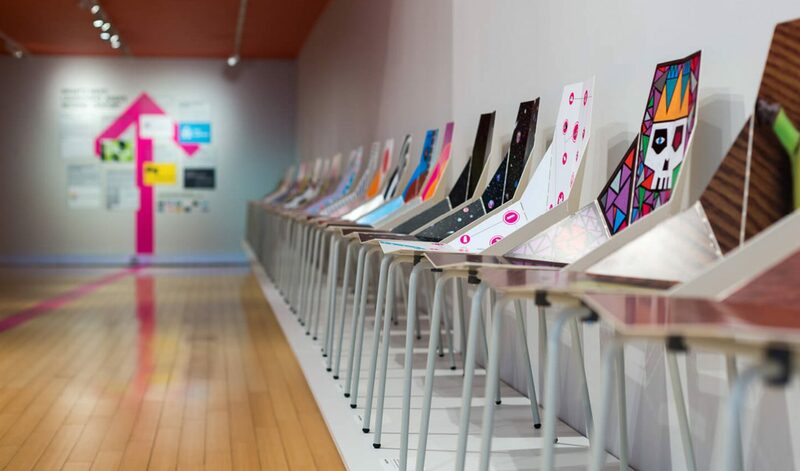 To get the word out, we created mini-chairs that participants could decorate and post on social media. 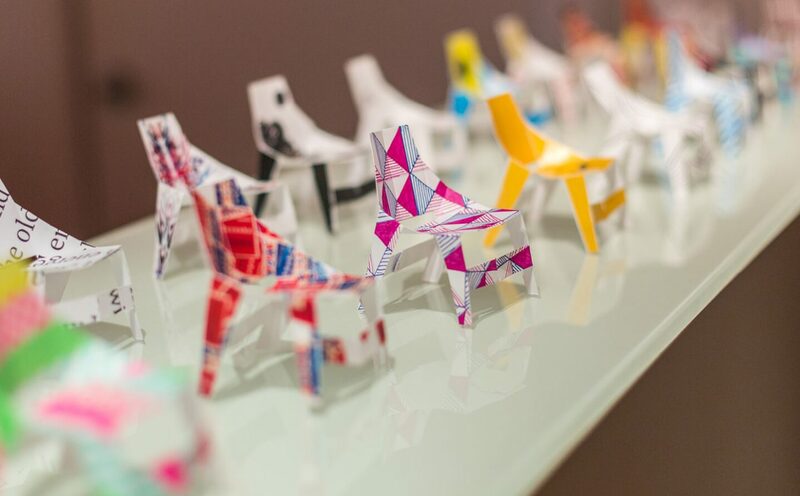 The mini-chairs where such a success that they ended up becoming a part of the exhibit.